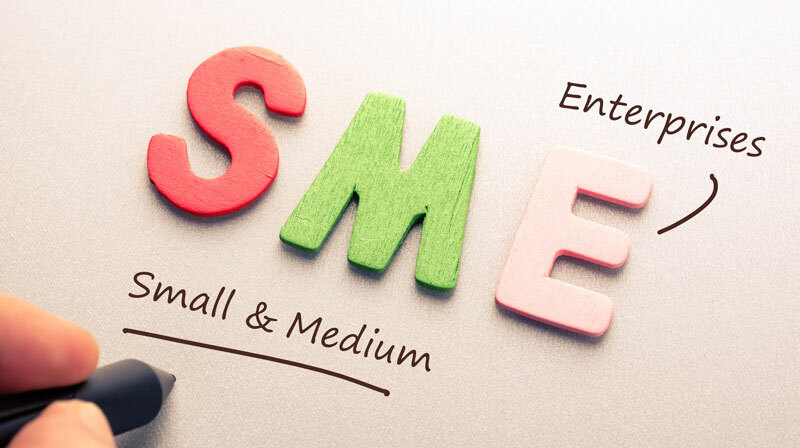 SMEs referred as Small and Medium Enterprises is backbone of any economy. They create a lot of job opportunities at a low capital cost. The labour density is quite high in these as compared to large enterprises. They are the beginning steps of an entrepreneurship often created by an individual creativity and innovation. This sector has great potential and has been growing at tremendous rate. Their growth is a quiet important for any country that’s why the government is working for their development. They are categorised into various categories on the basis of initial investment, number of employees, assets owned etc. by different countries. • SMEs faces stiff competition from large enterprises as they have a good market share and better funds as compared to these enterprises. • Large enterprises attract a lot of IT personnel which results in lack of IT support for enterprises in these sectors. As most of them ask for higher pay that these small and medium enterprises are unable to provide. • These enterprises don’t follow a formal procedure and even records are not maintained in some of these small enterprises. Changes in the working practices are quite common and lack the discipline that the larger ones have. • Lack of management skills is a major issue faced, when proper decisions are not made resulting in downfall of business. • Lack of resources like financial, human, technical resources etc. are quite common in these industries. Lack of financial resources often results in decrease in quality and issues with product. A reasonable amount of work force is required for easy working of any business which this sector lacks. • Lack of experience is a major factor why the large enterprises have been so successful. Inexperience is reflected in their products which damages their image. The economy all around the world are working for the upliftment of the SMEs. Government agencies have been trying in this by providing easy finance for these enterprises and several indigenous ways to protect them as well.